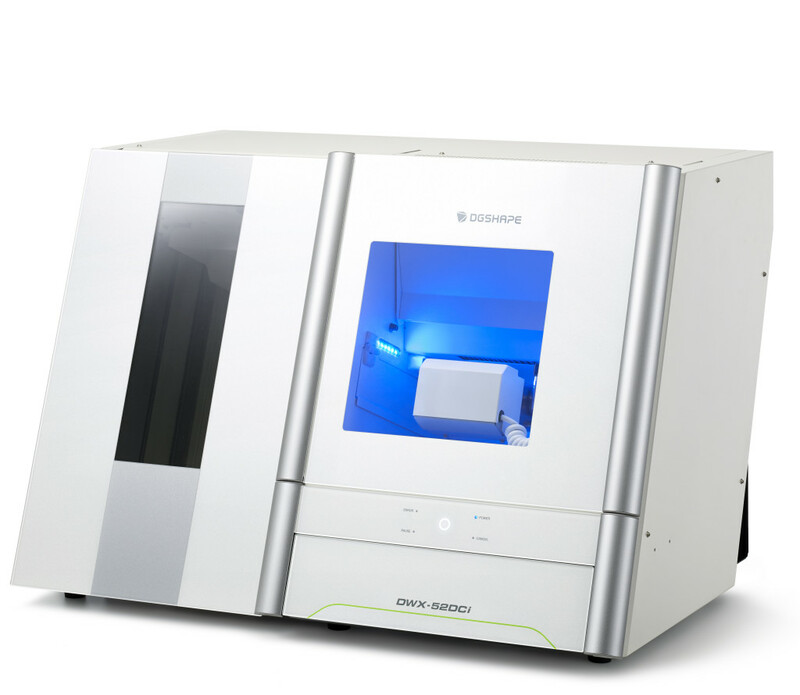 The DWX-52DCi 5-axis dental mill with disc changer expands your lab production and profits with open architecture, material flexibility, unattended production, and now with new DWINDEX software for visualizing ROI and productivity at a glance. With a 6-slot Automatic Disc Changer (ATC), 15-station Automatic Tool Changer and other automated features, it offers the ultimate in 24-hour productivity for users of all skill levels. Capable of producing a wide range of restorations, including crowns, copings, bridges, inlays and onlays, veneers, abutments, implant bars, screw-retained crowns, digital dentures, models, surgical guides and bite splints, the DWX-52DCi provides an exceptionally powerful, efficient, affordable - and intelligent - dental restoration solution. Increase productivity overnight and during the weekends with a dental mill that continues working, even when your office is closed. A new snap-on clamp system for the Automatic Disc Changer enables loading up to six 98.5mm discs for continuous milling of multiple jobs in zirconia, WAX, PMMA, composite resin, PEEK, gypsum, pre-sintered soft metal and fiber reinforced resin. Additionally, a pin-type material adapter facilitates setting up and milling up to eight pin-type blocks consecutively.